Oki Ni-Kso-Ko-Wa (Hello my relatives)! 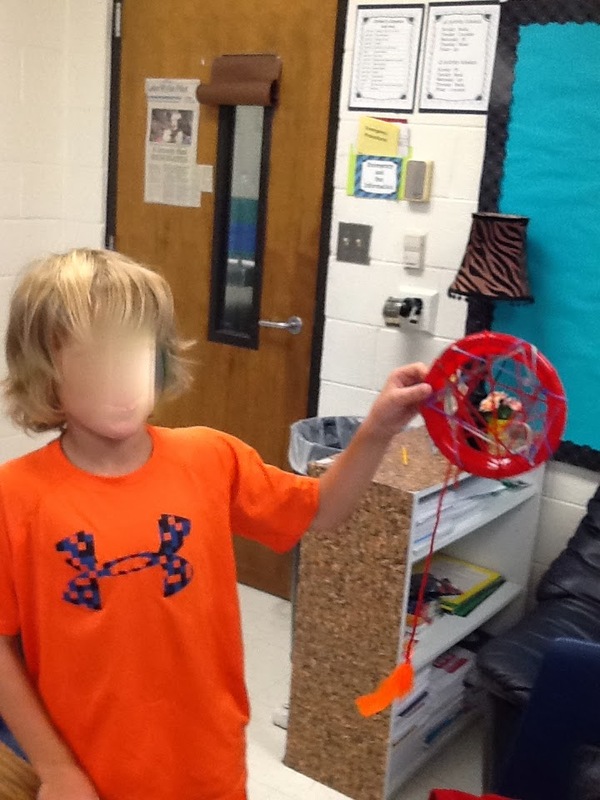 What better way to teach Native American culture than to make a dream catcher! Whenever I want to motivate my fourth graders for a writing assignment, I like to incorporate a craft or something fun. 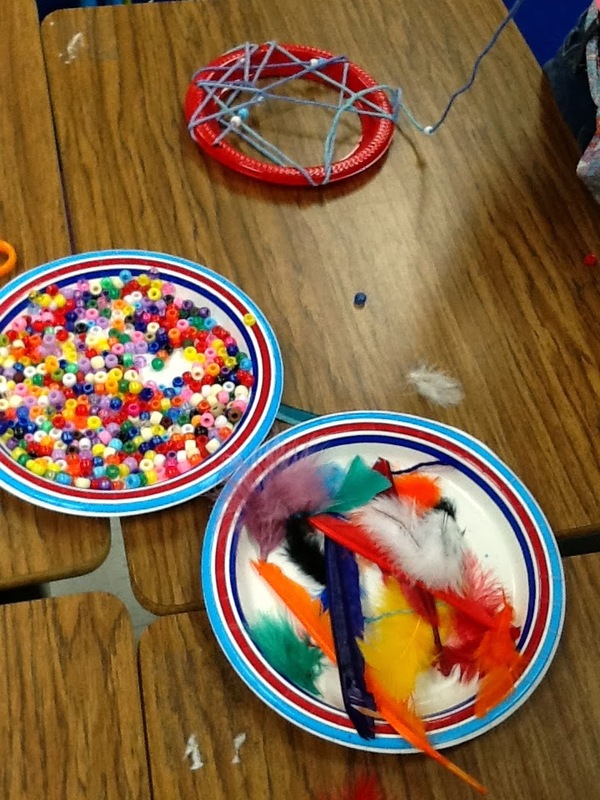 We are studying the Native Americans in North America and this is one of the crafts I made with my class. I taught paragraph writing with this craft. What dreams do you want the web to catch? What dreams do you want to go through? 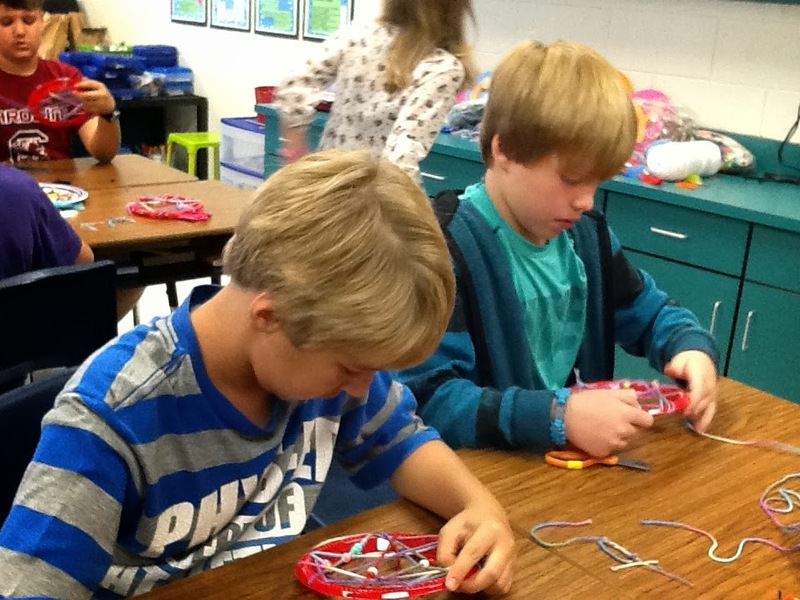 I had parent volunteers cut out the center of the plastic plates and hole punch them. Other than that, you need beads, yarn and feathers and you are ready to go! 1. 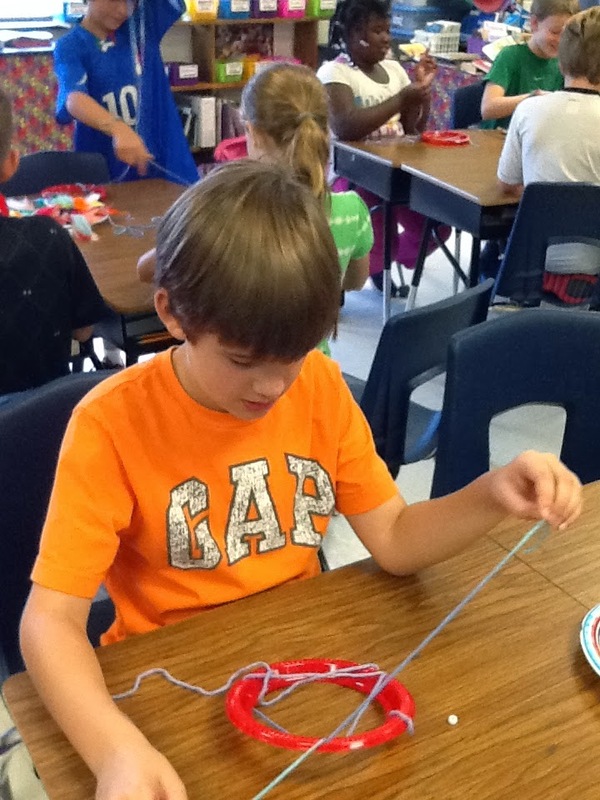 Create a knot and then start weaving in and out of holes and even through the yarn. 2. Don’t forget to leave a center hole for the good dreams to filter through! 3. Put beads on yarn whenever you please. 4. Knot at the end. 5. 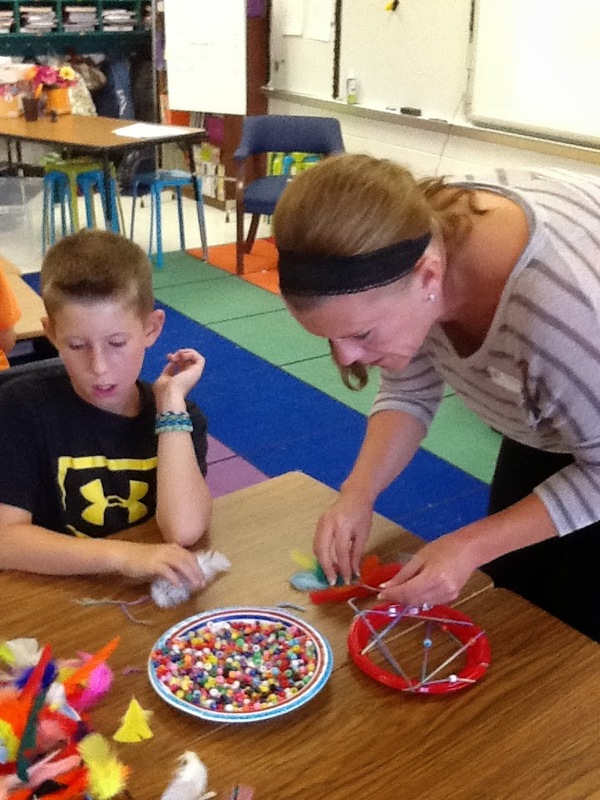 Cut another string, put beads, and tie feathers hanging down. Next write about your creation!!!! Don’t forget a topic sentence!